Hi there, it's My Favorite Things VIP Product Tour time! 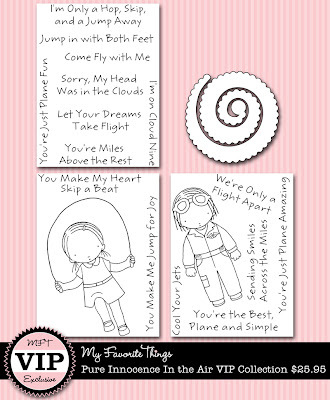 Sweet little Pure Innocence stamps are back in our VIP Collection this month again, and I bet you will love these just as much as last month's. 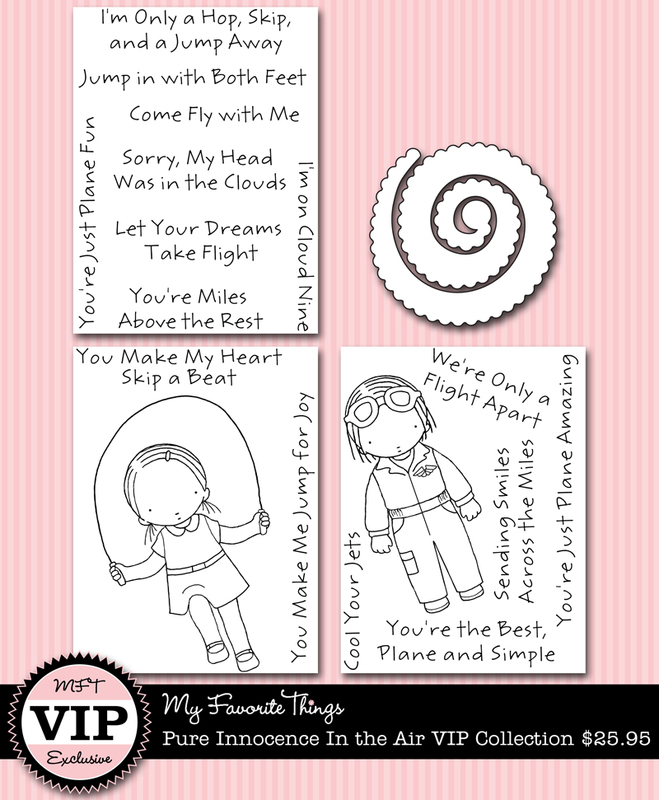 Our December In the Air VIP Collection is available only for a limited time/supply, so make sure to purchase them as soon as you see them, as you don't want to miss out on these cuties, not to mention the newest Die-namics. So with that said, let me share the little card I made with the Pure Innocence Jump for Joy set. Now, you may not realize this, but I colored my PI a new way. I got a sweet Christmas card from none other that our famously talented Jodi Collins and I oogled over her way of coloring our PI so much that I decided to try on the way she colored her hair and the way she outlined her, so that is how I came up with this. Thank you once again Jodi, as your card was a lesson itself for me!!! Hope you all like our new PI as much as I do. And here is the inside of this little card. Make sure you pick up these cuties very quickly, as supplies are very limited and I have a feeling they will be sold out soon. 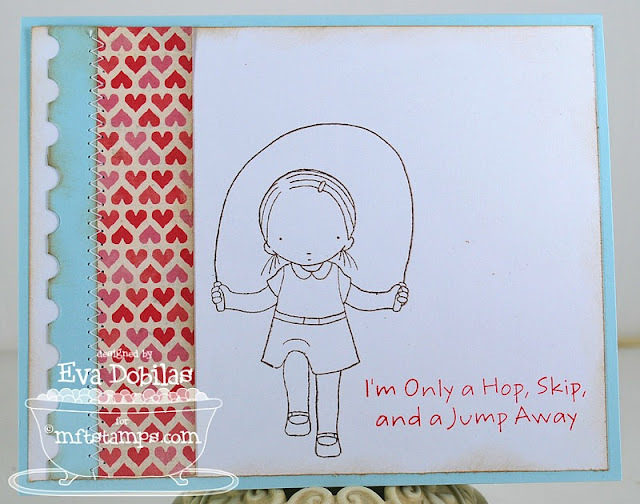 Thank you for visiting and make sure you hop over to Kim's blog to check out what the other MFT Design Team members made with this collection.